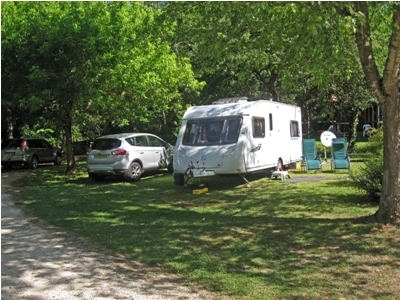 ﻿﻿﻿﻿In this weekly series experienced caravan journalist Liz King reviews some of the best touring caravan sites across the UK and Europe. Keep checking back or subscribe to our newsfeed using the Facebook, Twitter or RSS icons on the right of the page – that way you’ll never miss a trick! This is a rural, rustic retreat off the beaten track but it’s worth making the effort to get there. 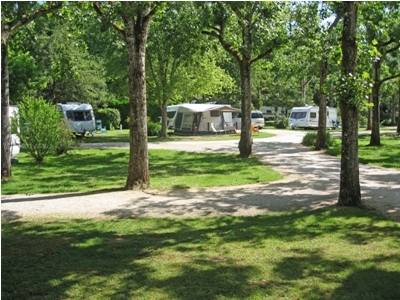 The grass pitches are broken up by shrubs and trees with many shaded pitches dotted around – with some fully serviced pitches also available. 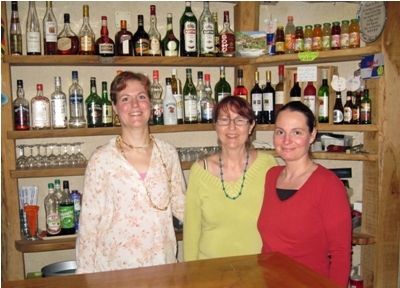 Run by a delightful English speaking French family, the second generation of the family is now involved, and the welcome is warm and friendly. A handy information book in English is given to new arrivals and the small shop has English newspapers in high season. There are no large facilities but there is a swimming pool, a games area and children’s playground; everything is cosy like being in the owners’ own home and the garden is reminiscent of an English country garden. 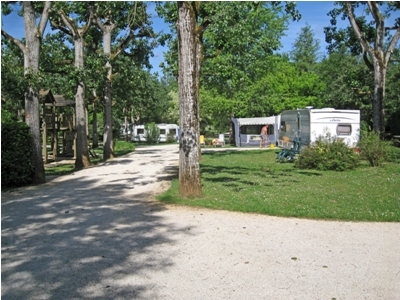 Pets are allowed and there is a motorhome service point. 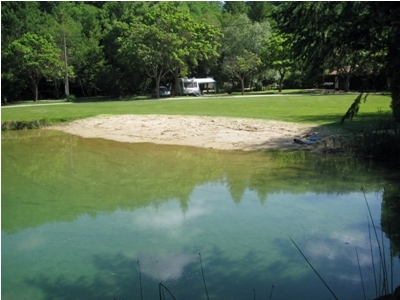 Nightly costs; Two people, outfit and awning in low season on basic pitch is from €14.60 per night in low season. Camping Cheques are accepted in low season. There are some fabulous cholesterol boosting gourmet meals served each week in the restaurant at very reasonable prices and weekly theme nights including a BBQ and gastronomic meals. 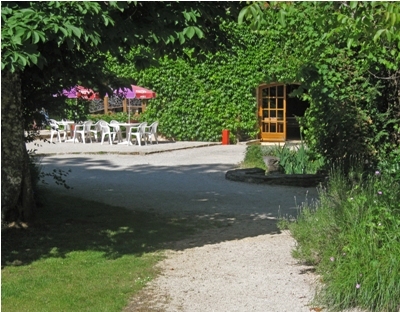 The informal bar is simple and has an outside terrace. Fumel is not attractive, but does have a nice château which is a listed Historic Monument and le Château de Bonaguil hosts a firework display in summer. Villefranche du Périgord is surrounded by attractive countryside, lovely for a relaxing drive through sleepy villages. If you’ve got an interest in history then remember this region featured in the One Hundred Years War between England and France and there are some beautiful “Bastide” towns. From Fumel on D710 turn right over the railway line in Sauveterre la Lémance. In the village turn left and follow the signs to the site which is some way out of the village. 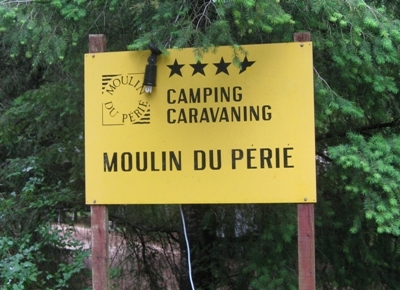 Travelling abroad with your motorhome? 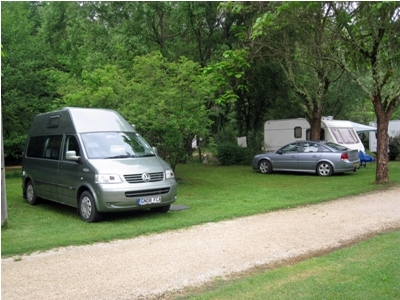 Caravan Guard’s motorhome insurance policy offers an optional 8 months European insurance cover and European breakdown cover. 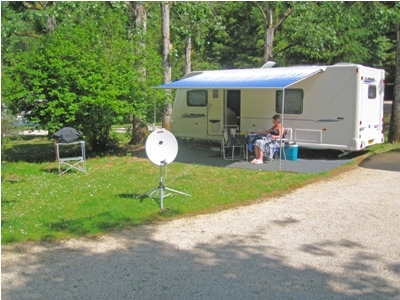 If you’re an existing Caravan Guard motorhome insurance customer, please ensure that you have European cover selected before starting your European adventures.